Basin shape- the river has two “sections” to it’s catchment basin. The upper river is mostly circular while the lower river is mostly long and thin. This shape is exacerbated by the Mole gap at Dorking, where the river has to pass through a narrow gap in chalk hills. During flooding, water can become trapped there, worsening the impacts of the flooding on the town. Circular basins result in higher and shorter flood peaks. The Mole has higher relief than most of Southern England, with maximum elevation of 265m at Leith Hill. The Downs from Ranmore to Box Hill are 100m taller than the valley below. Precipitation- the Mole has a fairly modest 750mm/pa. Prevalence of urban areas. Urban areas mean more concrete, which is impermeable. Effluent discharge- The water is normally treated and fed into the Mole. Some effluence comes from other catchment areas. Flood ponds at Gatwick. Latest pond can store 180,000 m^3 of water, supposedly halving flood risk. Water is tested and has its quality improved to high standards before being allowed back into the river, to ensure heavy metals from the planes being washed off do not enter the river. Worth Farm is located near Crawley and the M23 motorway. An embankment dam 6.5m tall has been built along the farm. No water is stored in the reservoir through most of the year, and the land can be used for farming, mostly of cattle. During floods, the water in the Mole that would normally just flow under the embankment is captured and held, creating a reservoir. Over a few days, this water slowly drains out. Water level can rise by 3.5m behind the embankment, which is predicted to occur 20% of years, while reaching peak capacity is predicted to happen once every 200 years on average. Weirs (normally natural-looking features involving using branches to redirect and limit the flow of water) and bank defenses at Molesey built in 1968. Hard engineering can affect an area’s aesthetic appeal. Much of the area is on impermeable clays, and is mostly flat. Because of the characteristics of the area, flooding can last for 3 days after any storms are gone. Drainage capacity can be overwhelmed by the water, leading to surface water flooding. Blocked gullies and surcharging of outfall pipes can cause flooding by major roads. Groundwater flooding can occur when groundwater rises above the ground surface, which is heavily effected by the local geology. In surrey this is most common in chalk-based areas, such as the north downs. Gatwick airport power failure; delays with baggage handling on 24/12/13; 100 flights delayed or cancelled; thousands left stranded or abandoned as rails disrupted too. Power cuts; 100 homes in Merstham (Near Reigate) and Sidlow left without power for 3 days. Leatherhead crematorium; closed due to flooding. Burford Bridge Hotel, Dorking and Ye Olde Six Bells, Horley; among various businesses submerged and closed during the flooding. Plane Damage: Damage to planes in Redhill Aerodrome (South-East of Reigate)- 71mile per hour winds measured on Kinley in the North Downs. Road closures and rail closures; two closures of the M24 at Mickleham, A217, A23 around Horley and Leatherhead. Creates “islands” making the job of the emergency services very difficult. Flanchford bridge, Reigate, damaged by the waters, and some bridges in the area are still yet to be repaired. Flooding of hundreds of residential properties; 40 in just Fetcham underwater for 15/12/13. Morrisons in Reigate, and other businesses elsewhere, flooded. Damage to telephone land-lines in Brockham village. Cars swept away, or people stranded in stalled cars. People stranded in buildings, including 27 at the Burford Bridge Hotel. The Environment Agency is implementing flood management strategies along the Lower Thames. Insurance policies by the government (and energy companies) to recompensate families with losses from the floods.Similarly, management schemes are being funded, such as property level management schemes. New technologies being created and implemented to better understand the flood risks. Engineered components: Three flood diversion channels and improvements to weirs (naturally-designed barriers over the top of a river to slow or redirect some of the water flow). Floodplain management component: working more closely with local authorities to ensure future developments account for flood risks, routes for flood flow and potentially diversion channels. Community-based flood protection measures: Flood warning services and property-level protection. The Gatwick flooding scheme and other factors will be mentioned elsewhere as this post is already long. The River Tees is located in the North East of England. The Tees’ source is located in the Pennines close to Cross Fell, at 893 metres above sea level, where roughly 1200mm rainfall occurs annually, although some areas have 2000mm. It is 100km long. In the upper course of the river is a famous waterfall known as “High Force” as well as a gorge accompanying it. High Force is 21m high, and has been formed over millions of years. The top of the waterfall is made from a very tough rock called “Winstone”. Below the winstone lie layers of limestone, sandstone and shale. The river erodes rapidly through the rocks at the bottom, due to their being relatively soft, and eventually, once a large enough overhang has been created, the rocks collapse downwards under gravity, and create a sheer rock face for the waterfall to flow down. 20m^3second^-1 runs across the winstone rock. High Force also creates potholes nearby. Smaller rocks are rotated by the river’s flow after being trapped in depressions in the rock and eventually wear downwards to make round, deep holes. Close to Yarm, the Tees forms large meanders, which have formed ox-bow lakes. Flooding has caused the formation of levees. During the last ice age, water was locked up on land, meaning that sea levels were lower. 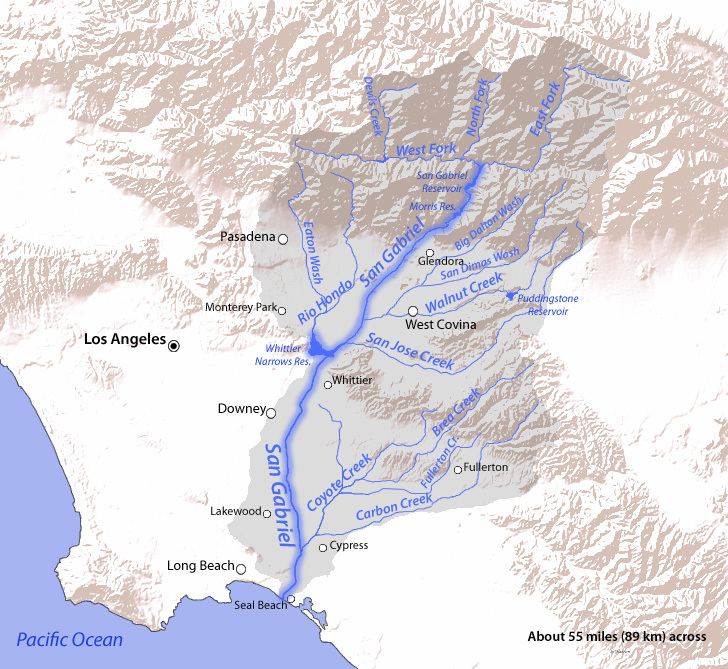 When sea levels rose, the river was rejuvenated, meaning that it tried to achieve a natural long profile again (of a long and mostly gentle curve from the source to the mouth). The adjustments created knick points, most notably High Force, which is eroding back to form a new long profile, but this process has also caused an estuary to be made as the sea flooded the original mouth of the river. Parts of the estuary area are SSSIs (Sites of Special Scientific Interest) (which are carefully managed due to holding unique ecosystems such as seal sands), or are just generally important for the local wildlife, notably migratory birds and seals. The flat estuary area is also attractive to large industries due to the flat land, and the fact that the river is quite wide, allowing container ships to their premises easily. The Tees takes large meanders through its middle course. Directly, it is 30km from Darlington to Teesmouth, but along the river it is 75km. Several miles have even been cut off from the original course to shorten boat journeys. The Tees is used for water-sport, for the protection of wildlife habitats, for farming in the fertile alluvial soil, and for big industries, as well as for residential use. Cow Green Reservoir: (Upper course). The highest reservoir in the area. The river supplies water (high water quality) and also helps flood control. Sheep Farming: (Upper course): The land in the upper course is too steep for machinery and too acidic for crops, so is instead used for sheep. Tourism and conservation: (Upper course). The moorland, High Force, shooting etates, and a nature trail at Windybank Fell all atract visiots, as do the Pennine Way, and the rural villages of the area. Tourism provides jobs and helps stimulate the economy, but also causes congestion, litter, and overcrowding. Tees Barrage: (Lower course). 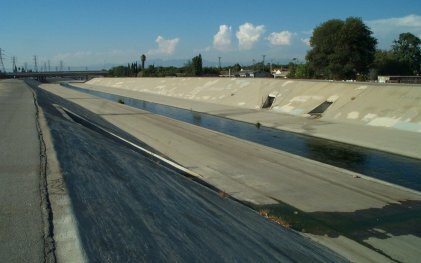 Opened in 1995 for sport and flood control. Seal Sands: (Lower course). The mudflats around the river mouth are very important for seals and for migratory birds. Urban and Industrial use: (Lower course). Large towns such as Stockton and Middleborough and Teesdale support large industries such as chemical industries, ships, steel-making and engineering. ICI: (Lower course). Petrochemical industries based at Billingham and Wilton are placed to receive North Sea oil. Shipbuilding has been replaced by oil platform construction. Reservoirs, such as Cow Green and Grassholme have been built. In the 19th century, cut-offs were built around Stockton to straighten the river, and flood protection schemes have been built recently at Yarm. There is also a water sports complex at the Tees barrage. Yarm used to be a huge port town, enclosed by a meander. However, it was difficult for boats to travel 18km inland on the Tees. Commerce was broken off by a bridge closer to the sea at Stockton. The Victorians saw too many meanders and built a 3km long straight channel. The estuary used to be a marsh area but is now almost entirely artificial. Heavy industries reside on the reclaimed estuary mud. There is space and access to open water, so it is used by North Sea oil and petrol companies, and by a nuclear power station. 90% of the raw materials for these are carried from outside because the channel is deep enough for the them.